My journey as a Cleveland home inspector began 15 years ago when I was buying real estate properties in Northeast Ohio. Because they were my investments, I wanted to make sure I was getting a great deal, so I decided to learn everything I could and founded my new passion in life; General Home Inspection, LLC. 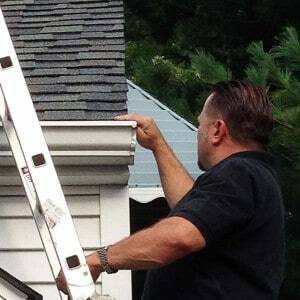 To learn all I could about becoming a home inspector in Cleveland Ohio, I understood that my education would have to go beyond the textbooks and classrooms, so I turned to real life experience. I worked hand in hand with some of Cleveland’s best tradesmen who taught me all they knew during the extensive rehabilitation projects we did on my properties. I also was responsible for the rehabs, updates, and repairs on the dozens of other homes I’ve bought and sold over the years. What started with my passion for real estate, quickly grew into a new profession. People noticed that I knew everything about houses and inspections. People kept calling me asking for the Cleveland home inspector. I kept hearing how sick they all were of dealing with your average home inspector, who only learned about home inspecting in a book. People knew my real-life hands-on experience was superior and valuable and that I was happy to share my knowledge and experience to make sure they were buying a great home. Click below to verify your home inspector is part of ASHI.